Beebe is referring specifically to the attempted murder of former Russian double agent Sergei Skripal on British soil by use of a Soviet-developed nerve agent that sickened him and his daughter and killed several British citizens - amidst growing evidence of the involvement of officers of Russian military intelligence (the GRU). That case can be broadened to encompass a series of computer hacking/information warfare operations that were uncovered in the last several weeks in the UK, the United States, Canada and the Netherlands, which also have been attributed to the GRU. Now the discussion revolves around whether those who have been accused of taking action were doing so in contravention of or in support of the instructions of the Russian state. 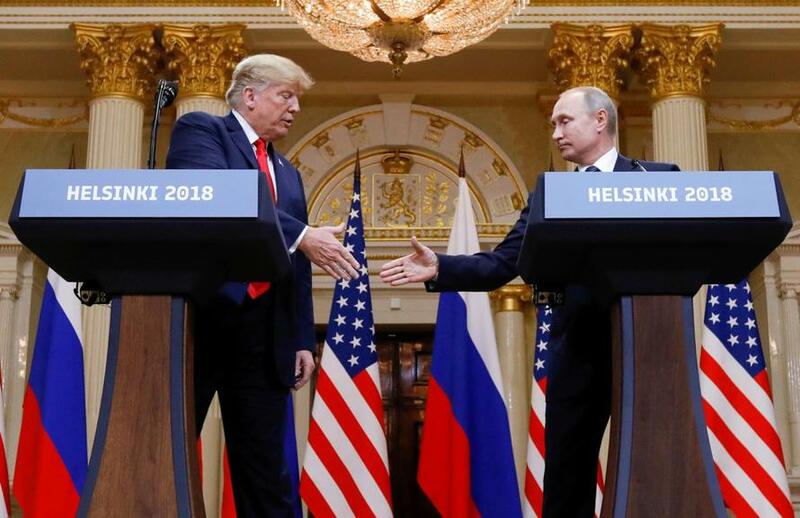 And, as recent European Union conclaves attempting to forge a coherent policy towards Russia - or the whipsawing in the United States itself between a Trump administration open to dialogue with Russia and a Congress determined to bring maximum pressure on Vladimir Putin’s government - make clear is how locked into pre-existing positions Western approaches to Russia remain. While this approach has not always been successful - with some spectacular miscalculations (such as the fallout from the Russian efforts to interfere with the 2016 U.S. elections) - it has nonetheless given the Kremlin the hallmarks of an overall grand strategy. In revealing remarks at the Moscow Energy Week press conference, Putin quipped that “special services mess with each other all the time” while at the same time calling for improved relations with the West. The West, on the other hand, approaches its relations with Russia through the prism of what Moscow “should” do rather than what it actually “is” doing. For some countries like Italy, Hungary, Austria, and to a lesser extent Germany and France, Russia “should” be a partner to Europe. Thus, these governments prefer to focus on areas of cooperation with Moscow and thus to minimize cases where Russia’s behavior is far less than constructive. For others - the United States most notably, Russia “should” conduct its domestic and foreign affairs in line with Western values, norms and preferences. When Russia deviates from such standards, the first instinct is to correct and punish. The current intra-Atlantic divergences (both within and between the countries of the West) on policy towards Russia stem from this basic divide - between those who see Russian transgressions as a distraction from Russia’s overall integration with the West versus those who see them as intrinsic to Russian statecraft and policy. So when the GRU is accused of hacking operations, one side is prepared to minimize the seriousness of the charges while the other is prepared to throw away all of the positives of the relationship in order to avenge. Swinging back and forth between these two binary choices does not lead to effective policy. The discussions have produced the outlines of what might be termed a 3-C paradigm: cooperate, compete and confront. In other words, the United States - and by extension the West - must be able to shift along the 3-C scale, safeguarding cooperation, for instance, in those areas that are vital to both countries (e.g. nuclear non-proliferation) while creating ground rules for areas where the two countries will compete (for instance, in energy sales around the world). Most importantly, the United States must be prepared to confront Russia - but to do so with a clear understanding of the costs and consequences. One of the things that has been quite frustrating in observing the back-and-forth in the U.S. Senate during the August hearings is the insistence on maximum confrontation with Russia in both military and financial terms - but with guarantees that there will be no negative blowback or consequences for the United States. This limitation - frankly admitted by the Obama administration in guiding how it imposed penalties on Moscow - weakens the deterrent impact and has contributed to a feeling in the Kremlin that penalties imposed by the West are survivable.